At the Center of Revitalizing Psychiatry Dr. Ghali treats adults and geriatric population performing Psychiatric Evaluation and Psychiatric Medication Management. His Academic Appointments include: Instructor of Psychiatry, New Jersey Medical School; Clinical Assistant Professor of Psychiatry, NJ Medical School; Assistant Professor of Psychiatry, NJ Medical School; Clinical Associate Professor of Psyciatry, NJ Medical School (1983 – present); Clinical Associate Professor of Psychiatry, RWJ Medical School (1983 – present); Professor of Psychiatry, Seton Hall University School of Health and Medical Science. 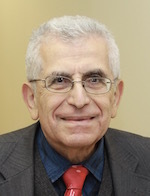 Dr. Ghali also is a recipient of several Awards and Honors, among them: Distinguished Life Fellow, American Psychiatric Association; Exceptional Merit Award, UMDNJ; Certificate of Appreciation for Exellence of Teaching, UMDNJ (1986 and 1987); Harvey J. Shwed Memorial Award for Excellence in Teaching, UMDNJ (1990 and 1991); Health and Human Services Scholarship Award (1997-1999); Excellence in Teaching Award (1998, 2002); NJ Psychiatric Association Golden Merit Award (2002); Listed in ‘The Best Doctors in America (1996-1998); Listed in Best Doctors (2002). Dr. Ghali likewise held offices in various Professional Organizations, such as Trinitas RMC Medical Staff (Vice President), 2009 – present; Bladrige Award Examiner, 2007 – present; Reporter, Esex County Medical Society, etc. His professional affiliations are: American Psychiatric Association, American Medical Association, American Association of Psychiatric Administrators, American College of Executive Physicians, Christian Medical Society, and Psychiatry Section, Christian Medical Society. Dr. Ghali is a grant awardee from Sandoz Pharmaceutical, Inc. , and he has authored several publications and presentations.